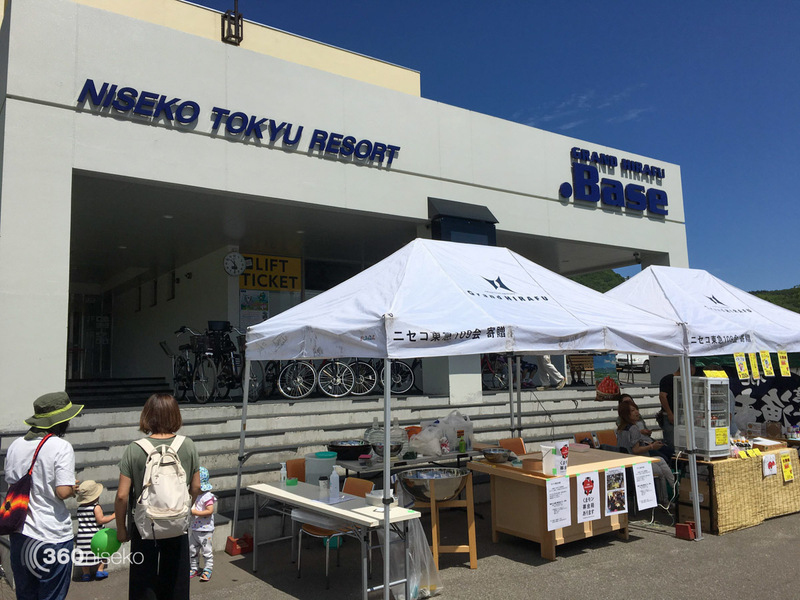 Summer really kicked in yesterday with perfect weather new attractions opening and an influx of weekend holiday makers here to enjoy the long weekend – Monday the 18th is the annual Marine Day holiday. 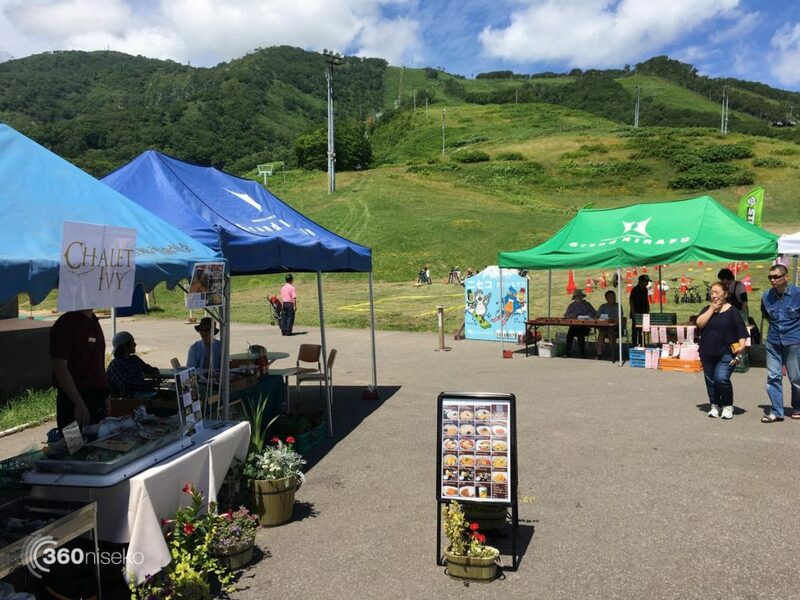 At the bottom of Grand Hirafu in front of .Base Niseko Green Market was happening with all sorts of local produce and treats up for grabs. 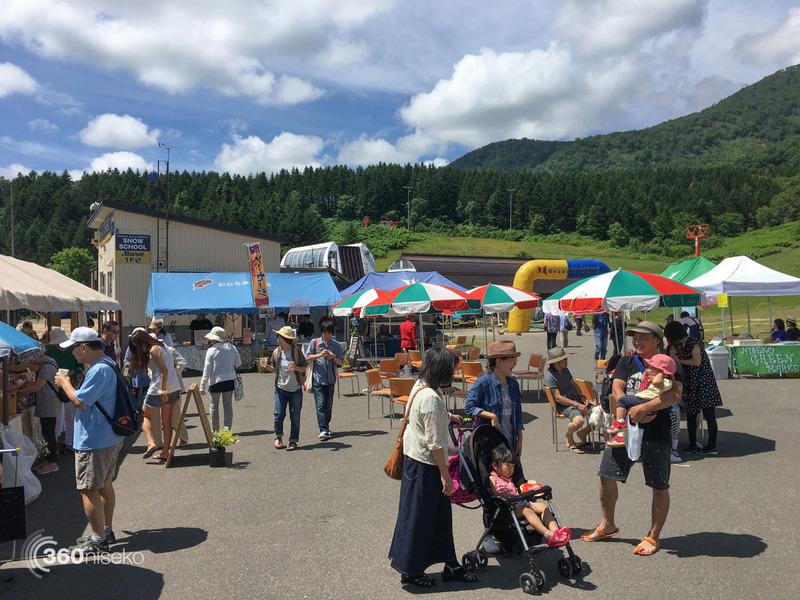 The Market will also be running on the 30th of July and 11th of August from 8:00 until 14:00. 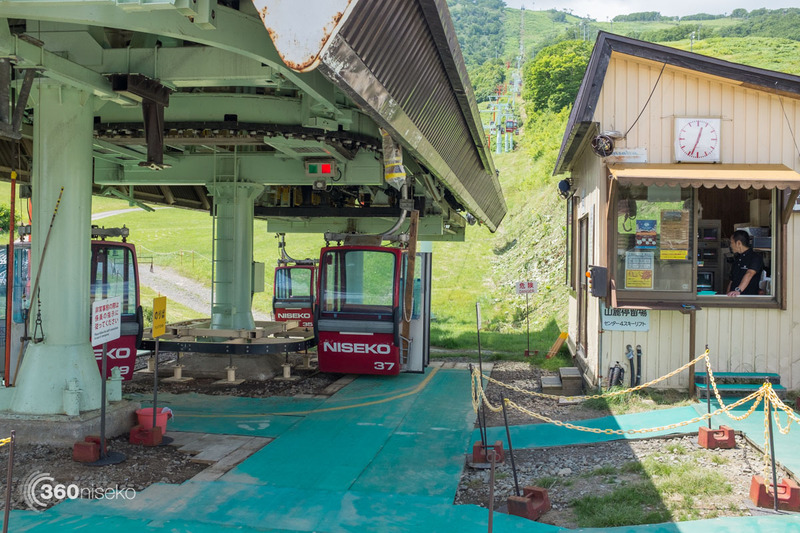 The Hirafu summer Gondola runs daily from in front of the Alpen Hotel from 09:00 – 16:00 where the Center 4 Quad Lift #2 operates in winter. The resort takes the lifts off and replaces them with the old red Niseko Gondola’s. 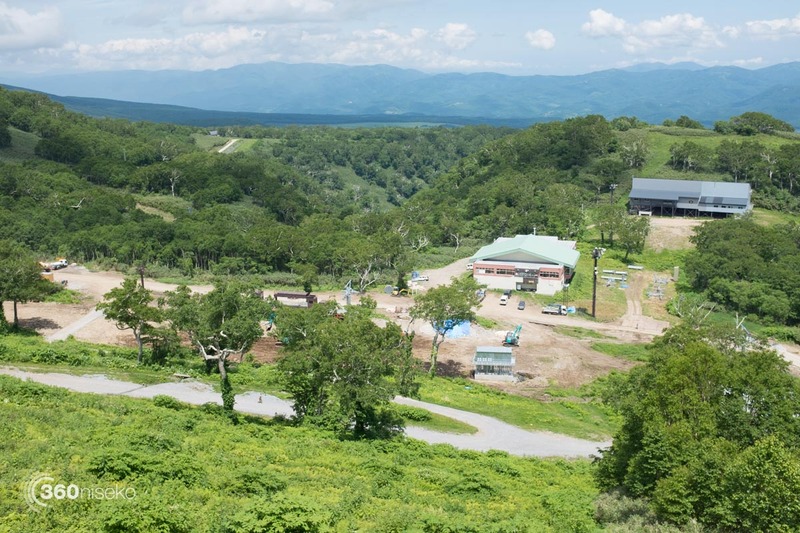 The cost is 1100 yen for a return trip of 600 yen one way for Adults and takes around 10 minutes. 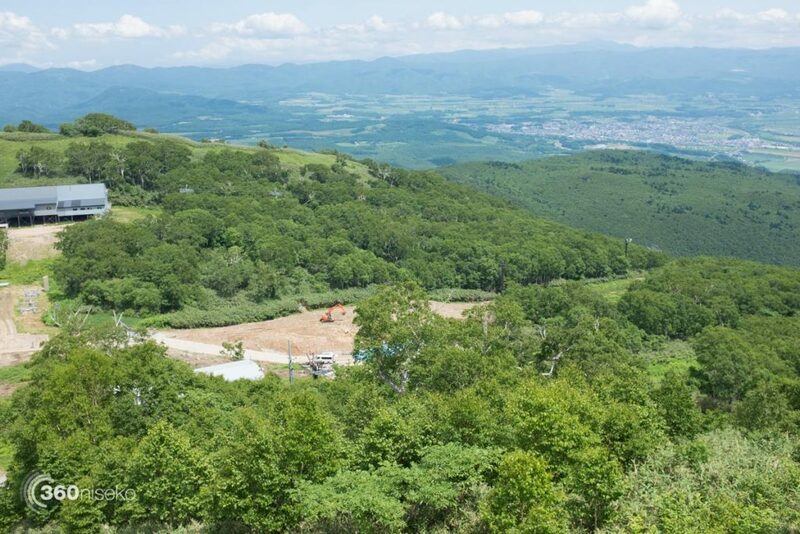 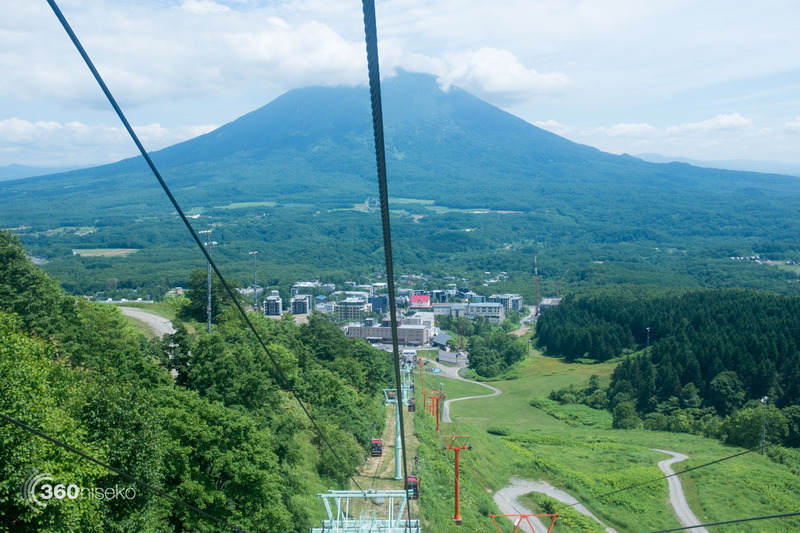 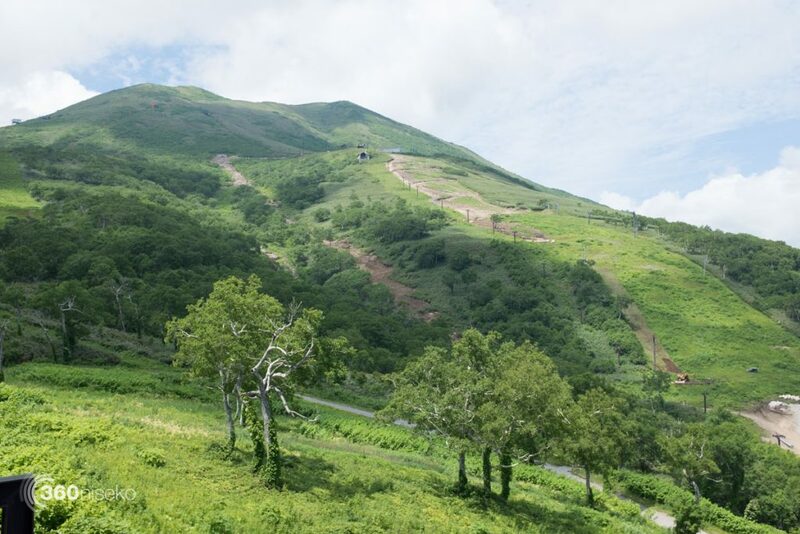 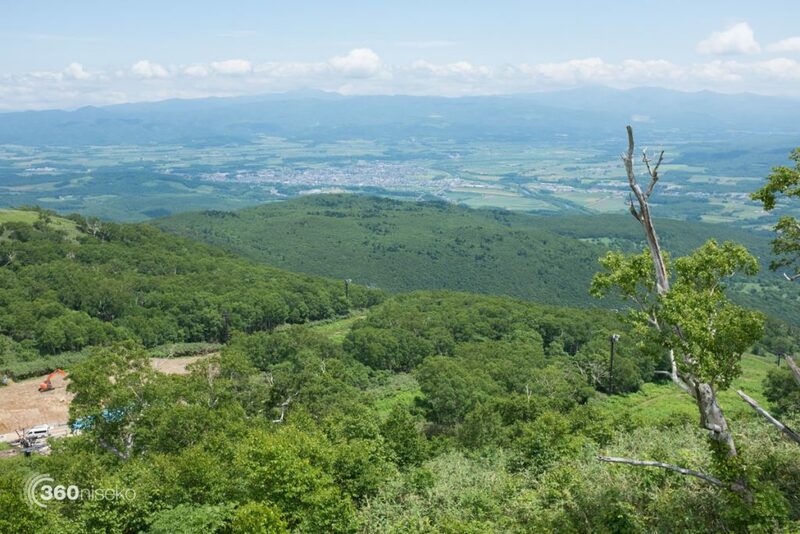 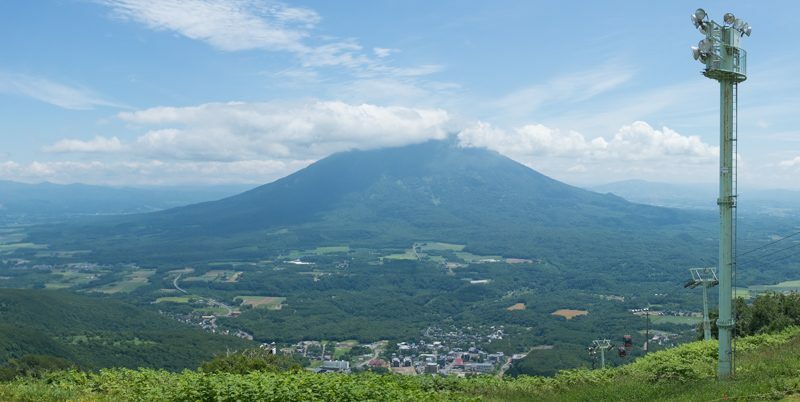 The views are outstanding and the Hirafu Gondola is well worth a trip on even if it is to escape the summer heat and chill out at the Ace Hill Rest House! 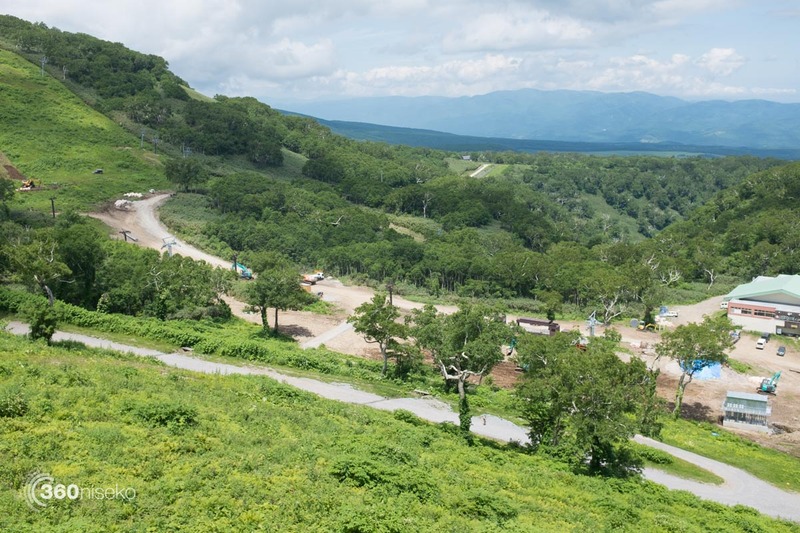 Here is a time-lapse taken yesterday. 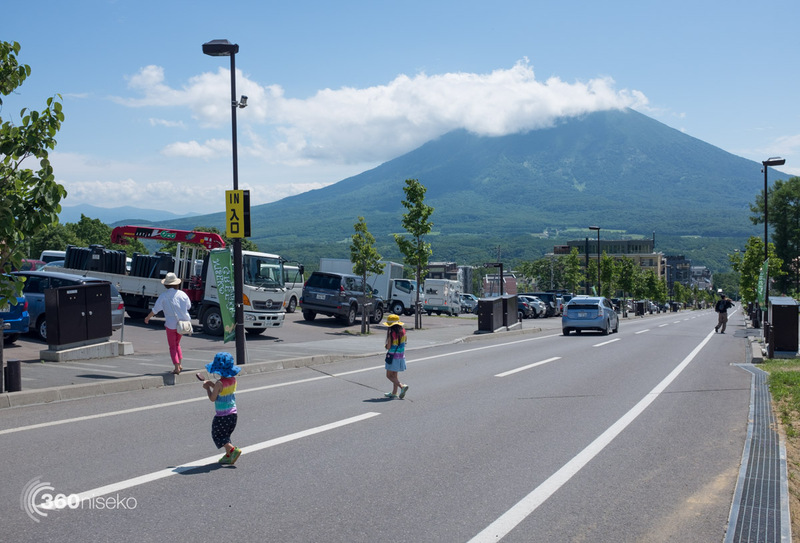 Summer Gondola 2016 from 360niseko on Vimeo. It is great to see the resort pushing forward with Infrastructure development and the construction of the new high speed lift is on track. 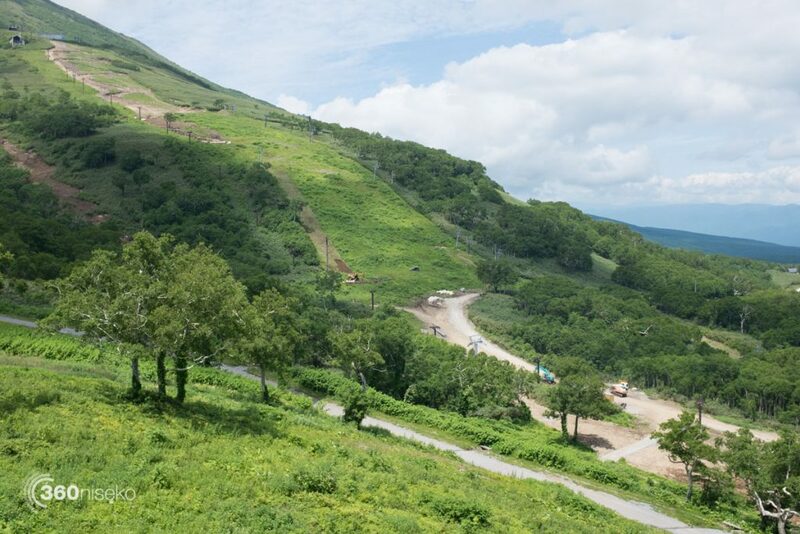 The old King Hooded Lift is gone and heavy machinery churning away – exciting times!